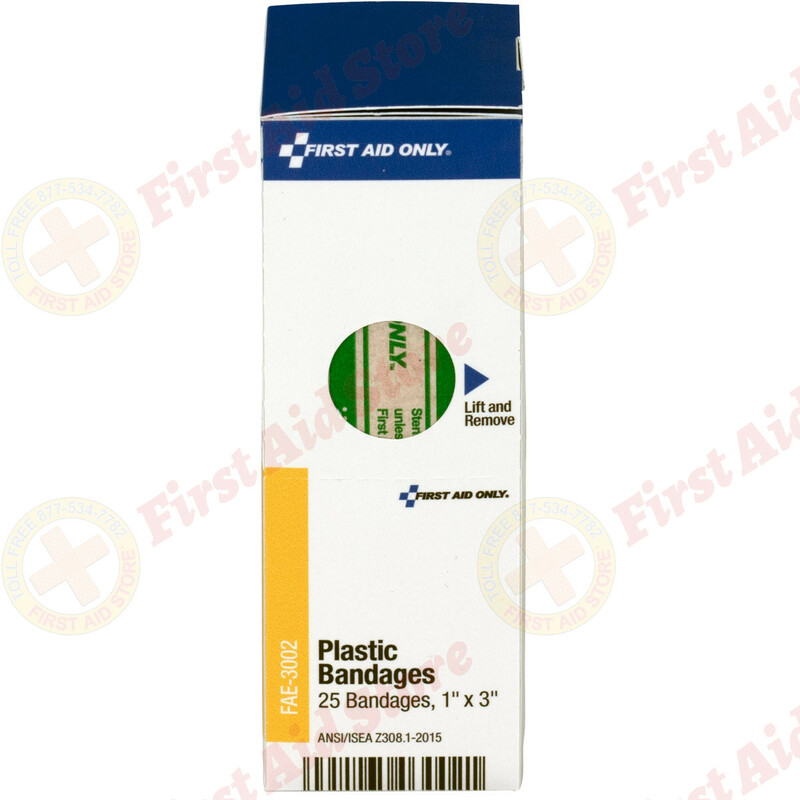 Plastic adhesive bandages are ideal for minor cuts, abrasions and puncture wounds. 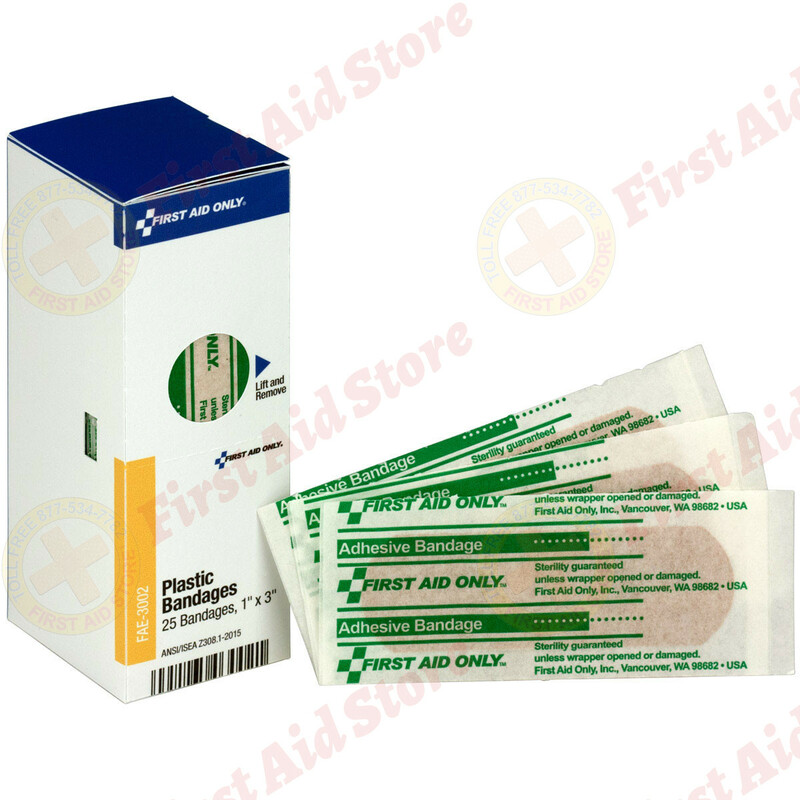 Bandages are made of pliable vinyl, allowing easy movement with any of the body's moving parts, and are ventilated to aid the natural healing process. 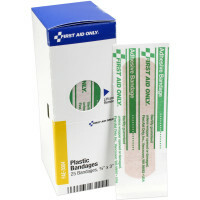 To use: remove from sterilized package and apply to wound. 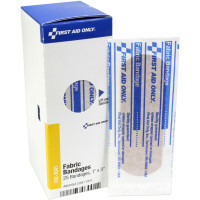 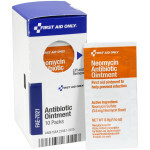 The First Aid Only® 1" x 3" Adhesive Bandages, 25 each - SmartTab EzRefill.